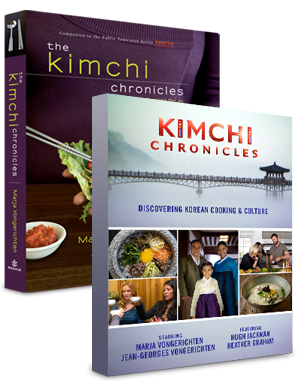 All 13 half-hour episodes plus exclusive bonus footage as well as brand new recipes not featured on the website. Bonus footage includes deleted scenes and fun clips not shown on TV! 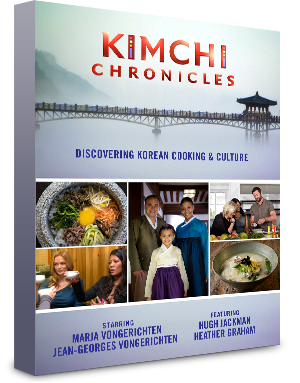 As the show’s companion cookbook, The Kimchi Chronicles will include a recipe for every dish featured, explaining how they can be easily duplicated in an American kitchen. 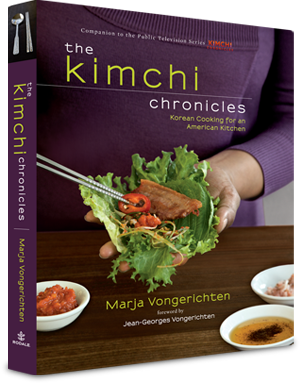 Chef Vongerichten will also offer original dishes with a lighter, modern flair, showing how the flavors of the Korean table can be readily integrated into any meal. Buy the book and DVD together and save! Please note: All items are not sold by Frappe and cannot be purchased from this website. Please search for items on Google if you’d like to purchase. 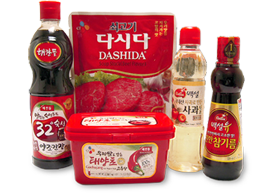 Get a spice kit with some of the most popular Korean staples, including naturally brewed soy sauce, DASHIDA beef flavored soup stock, apple vinegar, beksul sesame oil and hot pepper paste.